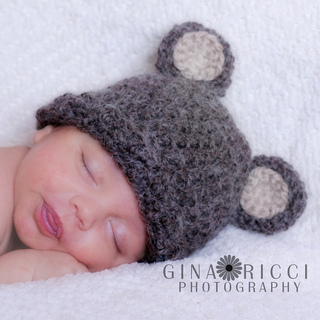 This adorable crochet Fuzzy Teddy Bear Hat Beanie is so soft, yet so easy and fun to make for your little one or as a Photography Prop! 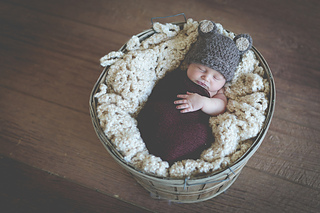 The hat is made with Fuzzy #5 Bulky weight yarn which is a soft blend of natural alpaca and durable acrylic. 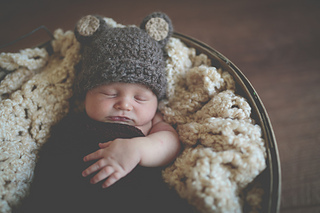 Your baby will look adorable! 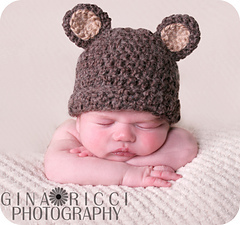 The hat is quick to make & comes in two baby sizes! Pattern includes a Magic Circle TUTORIAL!